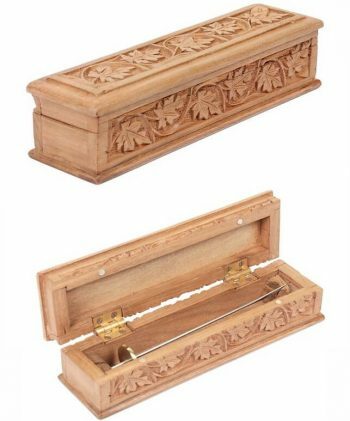 Home / Products / Spinning / Takli Spindle / Takli (Tahkli) or Supported Spindle in Sheesham Wood Box with Inlay design. 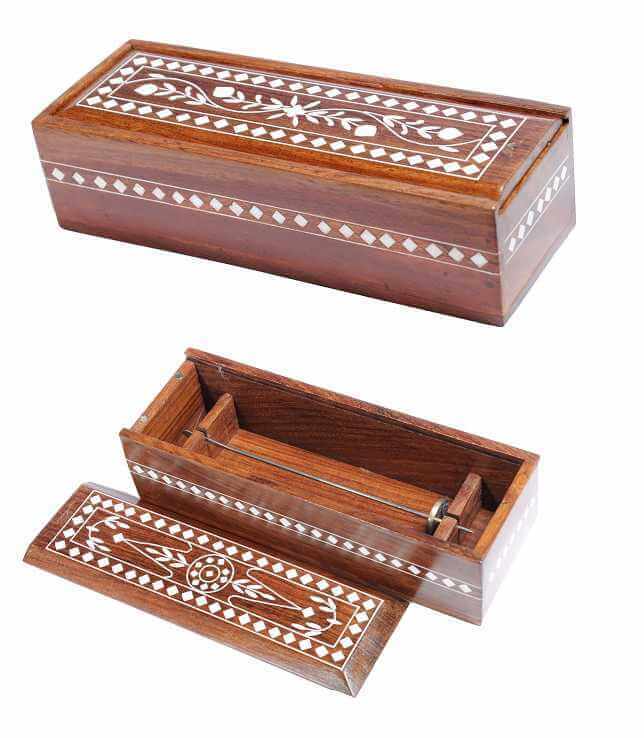 Takli (Tahkli) or Supported Spindle in Sheesham Wood Box with Inlay design. 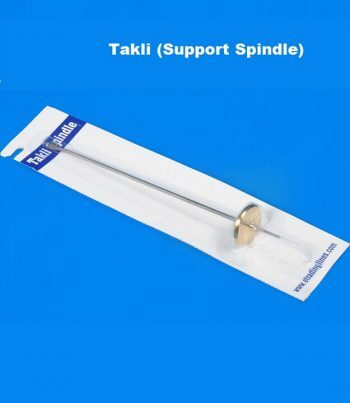 Takli is a small support spindle. It needs support while spinning. 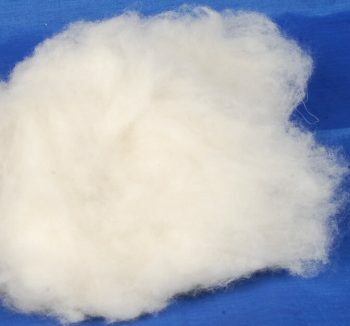 You can rest it in a bowl, on a table top or on any hard surface and can enjoy it’s fast spins! ▪ Stainless Steel Metal Shaft of 18 cm length. ▪ Use of Stainless Steel for shaft makes the Takli rust resistant and maintenance free! ▪ The upper end of the shaft is hammered flat. 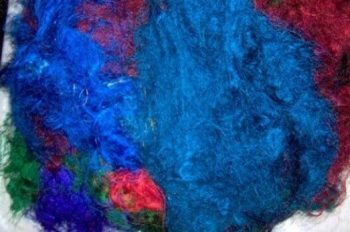 This helps the spindle to catch fibers easily while spinning. ▪ The shaft is pointed at the whorl end. The point rests on the ground or any hard surface and enables to spin the Takli easily when twisted at the upper end of the shaft. ▪ Brass whorl with 2 cm diameter. 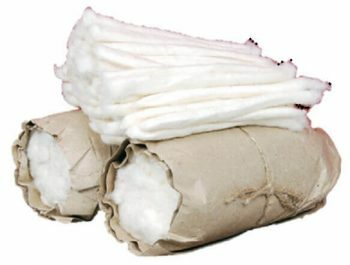 ▪ Ideal for spinning cotton and fine fibers. 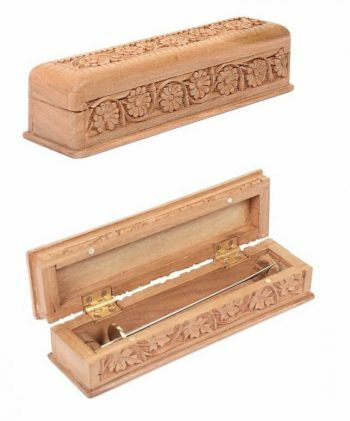 ▪ Available in a beautiful custom made Sheesham box with beautiful inlay design. ▪ Wooden Box Size : 8 x 3 x 2 inch.